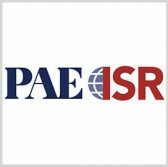 PAE ISR has been selected to provide an unmanned aircraft system for a Department of Homeland Security program that seeks to demonstrate UAS and sensor technology platforms. DHS plans to test the company-built Resolute Eagle vehicle through the Robotic Aircraft Sensor Program–Borders as part of efforts to inform the department’s science and technology directorate and homeland security enterprise stakeholders about current sensor-equipped UAS offerings, PAE ISR said Monday. Tests will take place at Camp Shelby in Hattiesburg, Miss. Resolute Eagle is designed to operate for 12 to 18 hours and has an optional vertical takeoff-and-landing configuration intended for maritime and special operations. The aircraft features a low acoustic signature technology and can accommodate up to 75 pounds of payload.